Tina Wexler is a literary agent at ICM Partners. ICM Partners is one of the world's largest talent and literary agencies with offices in New York, Los Angeles, and London. The agency represents creative and technical talent in the fields of motion picture, television, books, music, live performance, branded entertainment, and new media. ICM was formed in 1975 through the merger of Creative Management Associates and International Famous Agency. In 2005, the company raised equity financing from Rizvi Traverse and institutional investors to fund strategic growth, and in 2006, ICM acquired the literary agency Broder Webb Chervin Silbermann. 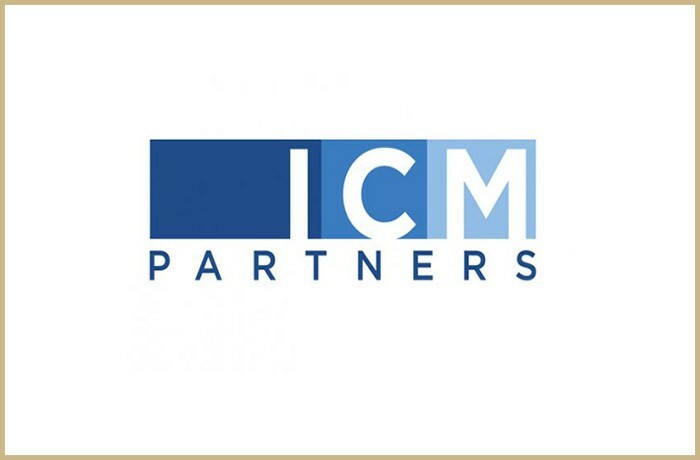 In 2012, the agency completed a management buyout and formed a partnership with the new name, ICM Partners. After graduating with a BA in English and an MFA in Poetry, Tina Wexler landed a position as an agent's assistant at the Ellen Levine Literary Agency in 2001. When the agency merged with the Trident Media Group in 2002, Tina decided to move to The Karpfinger Agency to focus exclusively on the foreign rights market. A year later, Tina joined ICM and quickly set about building her own client list and over the course of a decade she has nurtured the career of many authors. Based in New York, Tina Wexler frequently tweets great advice for writers so do follow her by clicking the link at the bottom of this interview. During your studies for a BA in Literature and Creative Writing did you ever entertain the notion of pursuing a writing career yourself? Were the course books helpful in developing your skills to distinguish the most effective openings and cover art to hook readers? I’m sure when I was an undergrad, I was interested in pursuing a writing career (if I was thinking about a career at all, that is), but by the time I completed my MFA, I knew it wasn’t the path I wanted to take. My writing has always been a deeply personal thing for me; I wouldn’t know how to turn it into a profession. When I graduated, I knew I wanted to work with writers, with their words and their stories. And that’s about all I knew, as I don’t recall much of my studies focusing on the business side of writing, how to make a career out of an MFA. The focus was on craft. We talked about effective openings, but we never talked about cover art. Luckily, I got a job assisting two agents and a new education began. Like many literary agents in training you worked in foreign rights. What is it about this particular department at literary agencies that is so beneficial in honing the talent of a new agent? Working in foreign rights teaches you how to play match-maker between manuscript and editor (or manuscript and sub-agent, manuscript and scout), how to negotiate, how to read a contract, how to serve as a go-between, how to see a book through to publication: all of the skills you’ll need as an agent. At the same time, you’re cultivating your tastes, your sense of what will sell in the market—domestic and overseas—without the responsibility of discovering and signing new talent, of making that initial sale. You already have a domestic sale in hand, proof that someone other than yourself thinks the manuscript is worth publishing, so it gives you a bit of confidence while you’re cutting your teeth, learning the business. It’s a great place to start (and to stay, if you so choose), as you get to work on some truly incredible books with some truly incredible people. What advice would you offer the aspiring writer who is about to embark on the submission process? If you want editors and agents to take you seriously—and you do want them to take you seriously—educate yourself on how to write a query and whom to query. I get far too many emails saying, “I don’t know how to do this.” Apologies if it sounds harsh, but I don’t want clients who don’t know how to use Google. What are the percentage chances of a writer being repped from your slush pile? Given the volume of queries I receive every day, it’s surely less than 1%. But that sounds so dismal. Better to put it this way: Of the twenty-three hardcovers I have coming out in 2014, two of them were pulled from my slush pile: Jessica Lawson’s charming retelling of Tom Sawyer, The Actual and Truthful Adventures of Becky Thatcher and Brandy Colbert’s hauntingly beautiful YA, Pointe. When I first started signing clients, I’d say a good 85% of my published books came from queries. It is a smart idea to query new agents, so long as they are operating in an environment where they will be given the advice and support they need to represent you well. When you sign a new client do you brainstorm their subsequent books with them to ensure their follow-up is the strongest one to assist you in building a career for them? Yes, I’ll ask potential new clients what else they have written, what other ideas they have germinating, where they see their writing going. Usually, it’s an exciting conversation, though there are times when the project I’m interested in is the exception to what they really want to write. In those cases, the writer and I will have a candid conversation about what our relationship could look like. For example, I’ll represent them in the children’s market and they’ll secure representation with someone else for their adult fiction. Or if they’re better off continuing their search. Or if I’ll represent them across the board, even if it means I’ll be expanding into new territories. For those writers keen to send you their work, which genres do you represent? And what are your specific guidelines for querying you? I represent adult non-fiction, from memoir to beauty to parenting to humor to cookbooks/food. I’d love to see more narrative non-fiction on my list. That said, my primary interests are middle grade and young adult fiction, with some YA Non-fiction and a few picture books. I love unreliable narrators. I’m not the best for stories that rely entirely on scatological humor, though I’m not opposed to a well-timed belch if it works in the scene. I gravitate towards stories that unfold in non-linear ways. The best way to get a sense of what I’m looking for is to read the books I represent: Croak by Gina Damico, Last-But-Not-Least Lola by Christine Pakkala, The Corner of Bitter and Sweet by Robin Palmer, The Winter of the Robots by Kurtis Scaletta, or The Real Boy by Anne Ursu, to name a few. Send me a query—no need for it to be more than 250 words—with the first five pages of your manuscript pasted at the bottom of your email (or attached to your letter, if you decide to contact me by post). I look forward to hearing from you, and thanks for the interview!